Ten things Southwark Council should do in 2019 -To welcome the New Year and in a spirit of fraternity we have come up with ten actions that Southwark Council can consider taking, in order to ease the effects of the housing crisis and create a fairer future for the borough’s residents. 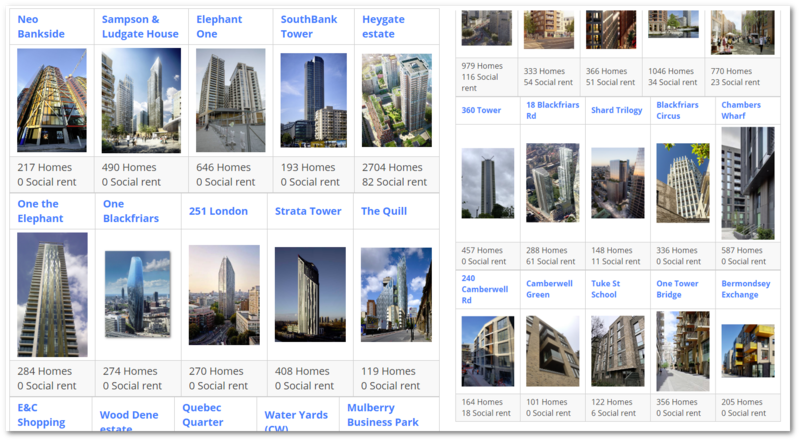 Research by the London Tenants Federation shows that Southwark has lost more social housing than any other borough since 2001. As well as right to buy and estate demolitions, homes are also being lost through the sale of ‘high value’ coumcil homes, through a scheme that was introduced in 2009 by Southwark’s Tory/Lib Dem administration, for vacant council houses valued above £400,000 . In 2011 the scheme was reviewed and the value reduced to £300,000 by the incoming Labour administration. 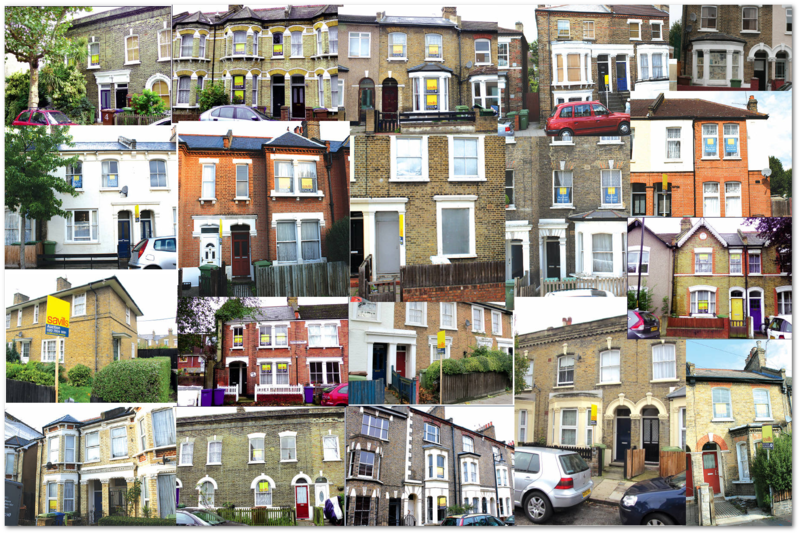 We don’t know how many council homes have been sold under this policy to date, but this compilation taken from an auction website shows a sample of over 50 properties sold off in this ongoing policy of disposals. As we reported previously the Council is still selling off or knocking down Council homes faster than it is building them. 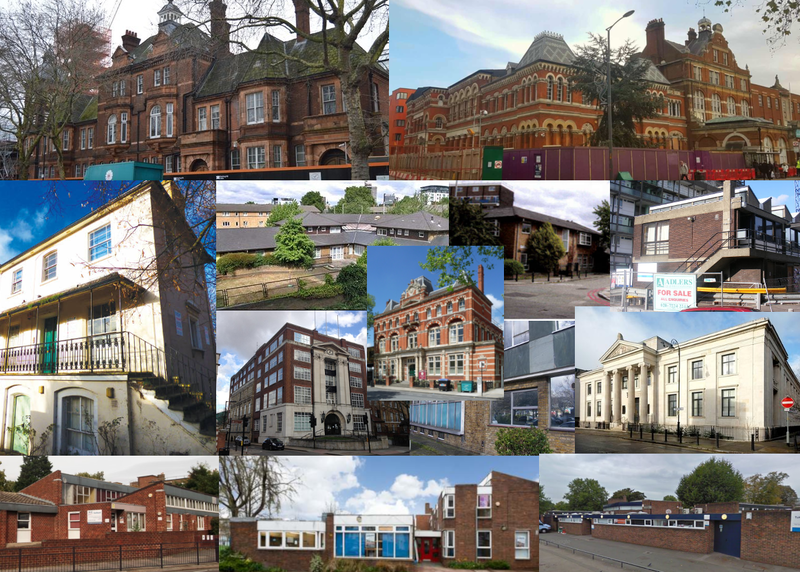 Southwark’s ‘modernisation’ drive has also seen it sell off public buildings and land including both Bermondsey and Peckham Town Halls; Harper Rd Social Services Centre; Castle Day Centre; Whitstable Day Nursery; Abbey St Children’s Home; Willowbrook Community Centre and the Wansey St Homeless Hostel. Land sold includes a plot near Millwall stadium and Southwark’s former car pound off the Old Kent Road, likewise a plot of land at Devonshire Grove and a plot of land on the Beacon House estate and one at Woods Road in Peckham. These sales no doubt raise funds, but The Mayor’s new draft London Plan introduces a requirement that 50% of new housing developments on public land should be affordableso whatever immediate gains these sales bring, the imperative should be retaining as much land in public ownership as possible, to take full advantage of this change. If Southwark is serious about fulfilling its manifesto promise to build 11000 council homes there must be no more approvals of developments like Braganza St, on the site of the council’s former enterprise workshops in Kennington and one of 20 sites in Southwark’s Regeneration Partnership Programme (SRRP), its flagship council house delivery programme. Despite the consultation process for this site promising 55% council homes, planning permission was granted last year for 33 new homes, 28 of which private, 5 intermediate and none social rent or council housing. Our research into major developments approved in Southwark over the past 10 years has shown that out of a total of 11,863 new homes given planning consent, just 456 (3.8%) were social rented tenure. Had Southwark stood firm and forced these schemes to comply with minimum policy requirements then 2,500 social rented homes would have been approved in total. We have blogged previously about the council buying affordable housing from developers to help deliver on its failing manifesto pledge. The problem with this method of buying council housing is that it does not actually increase the net supply of social housing – the same units would otherwise have been bought and let by a housing association anyway. Further, Southwark is denying itself the benefit of the S106 contribution, by paying for something a housing association would have paid for – and, rather perversely, denying itself funds for building units that would actually increase the net supply. 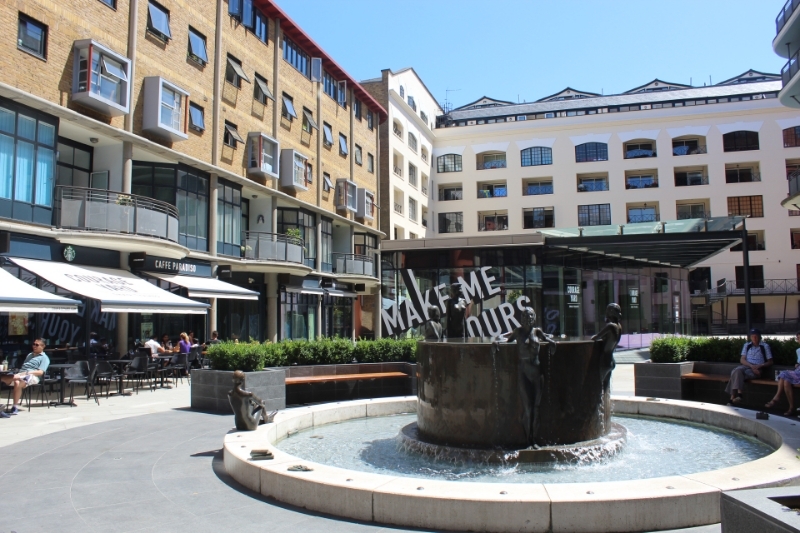 In May 2015 we discovered that Notting Hill Housing association had provided affordable rent (up to 80% market) as part of its Bermondsey Spa Regeneration scheme. Following this we discovered 43 further schemes where raised a similiar concern. After the Council dismissed our complaint we referred it to the Ombudsman who concluded that the Council “did not have a systematic supervision procedure to check compliance” with the tenure provision requirements of its section 106 agreements. Instead “it relied on developers’ voluntary compliance.” The Ombudsman ordered Southwark to conduct an audit of S106 tenure provision and introduce monitoring/compliance procedures. The Council initially promised that first 1 year audit would be published in 2017. It didn’t happen. It later explained that the audit was taking time because it was going back to 2010 and promised that it would be completed in Spring 2018. Nearly three years have now passed since the Ombudsman decision and while the chair of the planning committee has promised to look into it, we are yet to see or hear anything of the audit. Southwark has made an often repeated committment to transparent viability assessments. This transparency should be extended to all development related documents, including development partnership agreements with private developers. These contain the same categories of information as viability assessments and determine the public benefits a scheme will deliver. Last October we requested a copy of the Council’s partnership agreement with British Land for the gargantuan Canada Water redevelopment plans (46 acres of Council freehold land, more than 3000 new homes). After two and a half months it was released, in heavily redacted form – all financial and viability details, affordable housing provisions, pubic open space requirements and developer’s protected profit levels are completely redacted. Amongst the unredacted information is a reference to “Seymour Street Homes Ltd” as the affordable housing provider. Companies House records show that this is a recently incorporated and wholly-owned subsidiary of the developer British Land, part of a new trend in affordable housing provision that shifts it further from public control. Development partnership agreements, like the one for Canada Water, are invariably used for big developements, and if Southwark wants to avoid the controversies caused by the eventual publication of the Heygate and the Aylesbury partnership agreements, it should be fully open and transparent about the agreements it makes with developers. 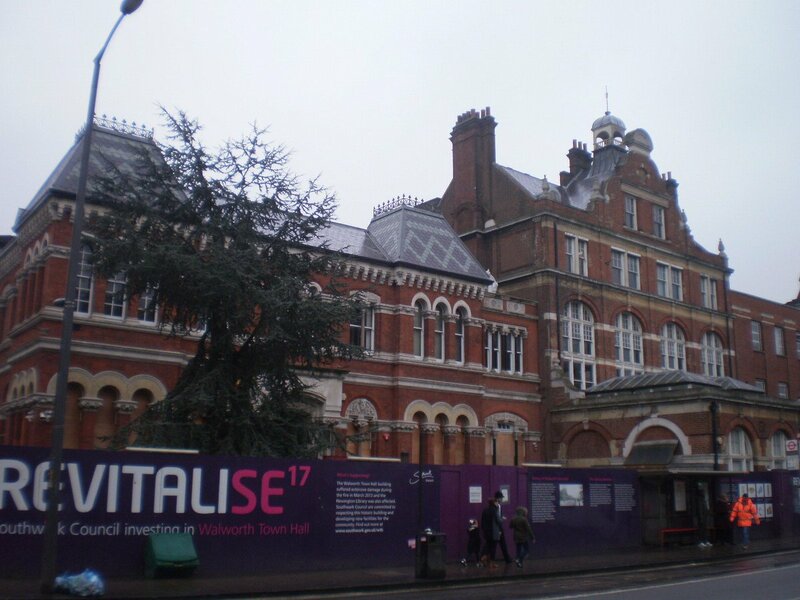 Having sold off all Bermondsey and Peckham Town Halls, it was a relief when Southwark made a solemn promise to restore Walworth Town Hall & library to public use after it was badly damaged by a fire in 2013. It is therefore disappointing, but maybe unsurprising, that Southwark has now gone back on that promise, claiming that it doesn’t have the funds to restore the Town Hall back into public use. The Walworth Society is objecting to the Council’s current plan to privatise it and makes the very good point that if the two shortlisted developers “are able to redevelop the Town Hall buildings for up to £20 million and then make a profit from them with a commercial development, why could not Southwark redevelop them for a similar amount and include a significant proportion of commercial usage.” Consultation on this runs to 21 Jan; this is a link to the Walworth Society objections. Southwark should stick to its original promise and restore the Town Hall to public use. 9. Reconsider its funding choices? While Southwark argues that it doesn’t have enough money to restore Walworth Town Hall, shortly before Christmas Southwark’s Cabinet agreed to the purchase of ‘Courage Yard’, a commercial development in Shad Thames. SE1 website reports that the Council is paying £89m for the site – nearly twice what the current owner paid for it in 2015. According to this Council report (para 21) Southwark owns £232m worth of such commercial investments, which currently provides a net total of £9.2m per year in revenue (3.9% return), but this appears to be less than the amount it is paying in interest on its debt – 4.6% on £563m (para 41). Southwark is also spending £10m per year on bed & breakfast accommodation for its homeless residents, so, refurbishing Walworth Town Hall, reducing debt, or reducing temporary accommodation costs, by building more council houses, more quickly, all seem plausible alternatives for spending £89m. Southwark has a large and diverse number of assets, which need to be managed in a prudent manner, but it should remember that it remains, first and foremost, a local government authority, not a speculative property developer. Elephant shopping centre developer Delancey has finally secured approval of Castle Sq, the temporary facility for displaced shopping centre traders, after making a last minute concession reducing the rents to between £18 and £24 per square foot; a significant victory for traders and campaigners, to join at least two others – the provision of Castle Square itself and the increase in social rented housing from 33 to 116 units. However, Castle Sq is much too small and many traders will be looking at alternative premises, such as new units at the bottom of Perronet House, over the road from the Bakerloo line tube station. These are also not ideal, but as the landlord, Southwark could make traders lives a lot easier by charging rents no greater than those Delancey will be charging.